The All-Clad d3 Tri-Ply stainless steel 12 inch fry pan will help you cook a sizable amount of buffalo wings or bratwurst for your next party. The large cooking surface of this skillet lets you move food around at high heat, for perfectly browning all types of food. It's even compatible with induction cook tops. This All-Clad stainless fry pan has the added benefit of being dishwasher safe, so clean up is a breeze. 100% Made in the USA! 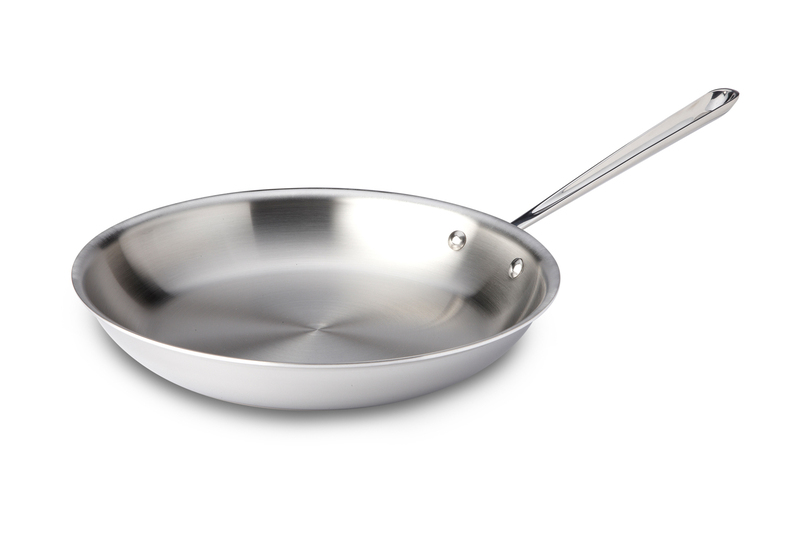 The All-Clad d3 Tri-Ply 12 inch stainless steel fry pan is a must-have in every kitchen. Rely on this handy size of skillet, with its quick and even heating for every day use.